The national report on National Assessment Program – Literacy and Numeracy (NAPLAN) outcomes has been released today, showing the test results of Australian students in Years 3, 5, 7 and 9. The report outlines student achievement in reading, numeracy, spelling, and grammar and punctuation, and shows performance has stagnated. Around 95% percent of students are included in NAPLAN results, meaning they provide a reasonable guide to how well Australian students are learning core skills. Other than Year 9 writing, over the last few years, overall Australian achievement has flatlined – it hasn’t gone backwards but nor has it improved. Student performance in Year 3 reading and spelling, grammar and punctuation has improved since 2008. Boys are on average doing better than girls in numeracy, but girls on average do better in reading, writing, grammar and punctuation, and spelling. Since 2008, reading scores in Australian Capital Territory, New South Wales, Northern Territory, Victoria, Queensland, and West Australia have improved. Student performance in reading and numeracy is significantly better in 2016 than it was in 2008. Average reading scores rose from 484.4 in 2008 to 501.5 in 2016. Numeracy scores rose from 475.9 in 2008 to 493.1 in 2016. Reading scores in Tasmania, Victoria, West Australia and Queensland improved between 2008 and 2016. Girls on average scored higher than boys in writing, spelling, and grammar and punctuation, but not in reading. Overall, there has been little change in any area for Year 7 students since 2008. Girls on average scored higher than boys in some of the literacy domains. 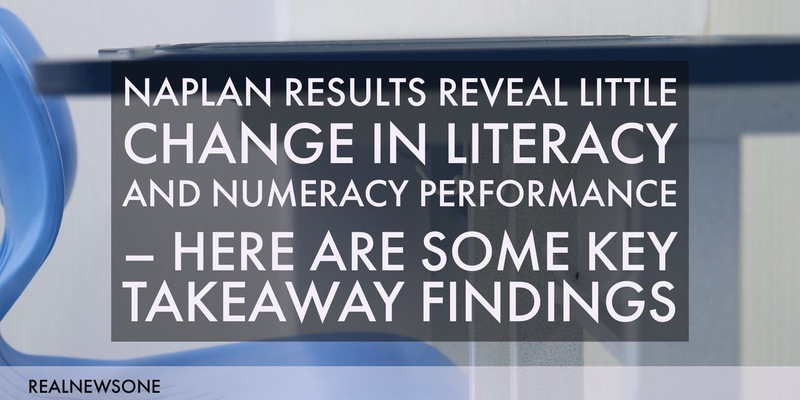 Numeracy and reading achievement has remained the same for Year 9 students since 2008. Writing achievement has decreased since 2011, however, there have been changes in the genre examined over this time – from narrative writing to persuasive writing – so this may be influencing the results. From 2016 the genre returned to narrative writing. In a number of cases the achievement of students from non-English speaking backgrounds tends to have a bigger spread than that of students whose parents’ first language is English. Our strongest students from non-English speaking backgrounds are doing very well, but there is a long achievement tail. Indigenous students are still achieving well below non-Indigenous students. Over the past 9 years, there has been some improvement for Indigenous students in Years 3 and 5 in reading, and in Year 5 numeracy. But as with the national data, the improvements appeared in the first few years of NAPLAN and there has not been much progress recently. Student achievement analysed by their parents’ education and employment makes familiar reading. The report shows that the higher the parents’ levels of qualifications, and the higher their level of employment, the better their children do in school. In most cases, the biggest gap is between the achievement of students whose parents completed Year 12, and those whose parents finished school in Year 11. Does location make a difference? On average, students based at schools in major cities perform the best. This is followed by those in inner regional locations, then outer regional locations. In remote and very remote areas, average achievement is lowest. These results tell us that as a country we are not doing particularly well at neutralising the effects of disadvantage, whether this is through location or as reflected in levels of parental education and occupation. The recent PISA results already showed us that Australian education does not do well on equity compared to similar countries like Canada. Our school systems are not good at reducing the influence of students’ home backgrounds on their achievement. We need to try harder here. This is likely to require a range of government actions that include a more equitable school funding regime, quality targeted teacher professional learning, and actions to reduce the class divisions that riddle our education systems. What doesn’t it tell us? While the report tells us a lot about the impact of broad factors such as student background, it can’t provide information on what is happening at a school level, or the reasons behind the general lack of improvement over the last few years. Establishing why student achievement has flatlined is a complex business and is not covered by the data collected or the analyses. There are two important responses to the report that governments can take. First, we could apply what we know is likely to improve student achievement across the board: supporting quality teacher professional learning based on our knowledge about improving student learning from the work of people like education expert John Hattie. Second, we can and must do more to reduce the impact students’ home backgrounds has on their achievement. A funding system that targets funding much more strongly to high-needs students and schools is important. Research shows that individual student background has an impact on achievement, but so does the mix of students in a school. Australia’s education system has become increasingly stratified. So policies promoting a mix of student backgrounds in our schools, for example, by requiring that all schools enrol a percentage of students from more disadvantaged backgrounds to receive funding, would be another place to start.